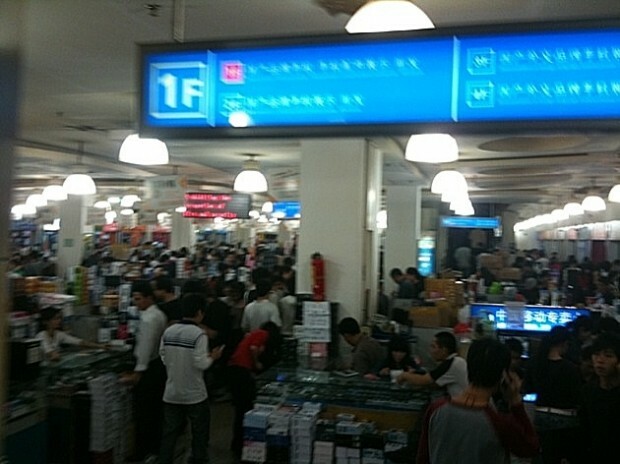 The cellphone market in Shenzhen is like a flea market where everyone is selling the same thing. If it looks like an iPhone, it’s here. There are hundreds of models, hundreds of odd names, and hundreds of people arrayed along the inside of a huge room. There are four or five floors of this mess. This is the Shanzhai market. We wander through the hall. Everything here is the same. It’s all the same processor, all the same mainboard. Each phone has two SIM card slots, runs quad-band, and has a touchscreen. The UIs range from poor to horrible and the prices are as fluid as the market itself. Design cues come from almost every source, although Apple is number one. 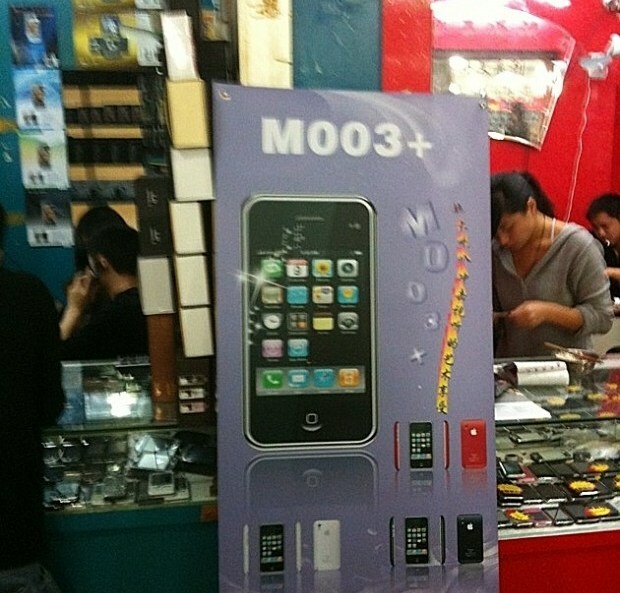 Recently the N900 is a popular model on which to base counterfeits because it looks like an iPhone with a keyboard. Even older phones like the G1 are inexplicably getting copied, proving there’s no accounting for taste. Shanzhai manufacturers can’t sell in China or developed nations. They can barely even export out of their own countries and resort to shipping many of their devices on trucks over the border and into southern Asia where they slowly dissipate into India and Africa. Many phones are caught up by customs because of the software on board. 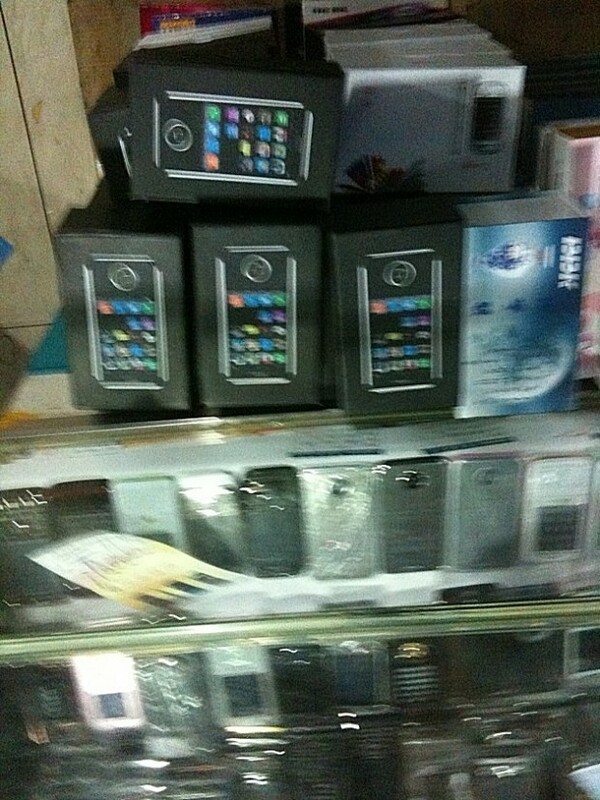 Shanzhai manufacturers like to put all kinds of junk onto their phones. TV tuners are popular, as are emulated arcade games. Tetris, for example, will get your phone trapped in customs immediately. Huge deals have been torpedoed because someone stuck Super Mario Brothers on a phone. Sure, the phone looks just like a fake iPhone but the real problem is a silly block game. I found one phone with a game called Super Shrek Brothers, which was essentially SMB with all of the tiles changed. Mario looks like a little green alien. It’s all very strange. Shanzhai is hard for us to understand. Why manufacture these things at all? The real draw is the “brand.” Buyers like to think they’re getting a modern, popular phone. Shanzhai manufacturers maintain that ruse with a passion. The secondary draw is the sense of accomplishment. This is akin to model rocketry or model railroading – the real value is in the details and when your peer group sees what you’ve done you get a boost in street cred. That these phones are later mass produced is a different matter entirely. The initial effort is focused on the creation of the object and not mass production. In the end, Shanzhai cannot hold. China will soon be leading the world in designed objects. HTC is a major player and soon Foxconn will be opening retail stores. China is changing. This is part of a week-long series on China. Read more articles here.